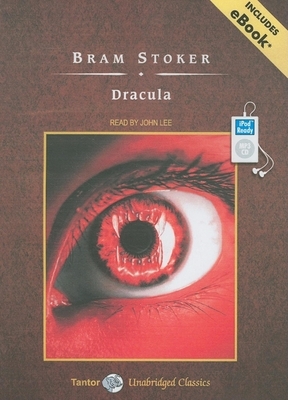 First published in 1897, Dracula by Bram Stoker has become the standard against which all other vampire stories are compared and the inspiration for countless film and stage adaptations. Indeed, the name "Dracula" has been synonymous with the undead for at least a century, and the original novel still has the power to chill. Come then to Castle Dracula, hidden in the forbidding peaks of the Carpathian Mountains, where an undying creature of evil casts his sights on unsuspecting England. Voyage on the doomed ship Demeter as it carries a monster out of ancient superstition in search of new life and new blood. Tremble as first one woman, then another succumbs to the unholy thirst of the nosferatu, and as a small band of men and women, horrified by the supernatural forces arrayed against them, risk their lives and their very souls to oppose the evil known only as...Dracula. Bram Stoker (1847-1912) was an Irish author whose books include "Dracula," his best known work, and "The Snake's Pass," his first novel.